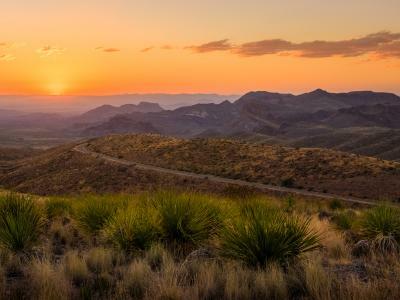 The High Plains of Texas are beautifully rugged, with high-arching skies and vistas that go on forever. 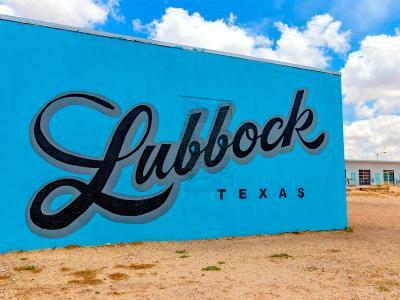 Lubbock is an urban oasis of the region, boasting great eats, a lively music and arts scene, and plenty of fun family activities. Lubbock is best known as the friendly hometown of Texas Tech University, legions of popular musicians, and High Plains wineries. We stopped by to experience all of that, as well as the Hub City’s cultural, culinary, and kid-friendly sights and activities. To bask in the vibe of famous musicians who hail from Lubbock, we headed to the Buddy Holly Center and West Texas Walk of Fame, dedicated to the rock-and-roll pioneer who wrote the still-popular songs “Peggy Sue” and “Rave On,” as well as many others. Driving up Buddy Holly Avenue, we couldn’t miss the giant black-framed glasses out front that could easily be mistaken for a present-day hipster beacon instead of Buddy Holly’s trademark 1950s look. Next door is the nondescript, relocated house of Crickets drummer Jerry Allison, where he and Holly penned “That’ll Be the Day,” but we headed straight inside the museum to check out Holly’s Fender Stratocaster, one of the guitar world’s holy relics. Its gorgeous three-tone sunburst finish and slim C profile neck called out to our guitar-playing hands. But today its strings go untouched. After checking out other memorabilia like handwritten tour notes and Crickets programs, we ventured outside into the Lubbock sunshine to see the West Texas Wall of Fame, honoring the uncanny number of rock-and-roll and country-western stars who hail from the area, among them Waylon Jennings, legendary Rolling Stones sax player Bobby Keys, Mac Davis, Lloyd Maines, and Pat Green. Since our appetites were whetted for live music and dinner, our next stop was the Depot Entertainment District, which boasts a lively bar-hopping scene. The Triple J Chophouse & Brew Co., Lubbock’s only brewpub, was hosting Yvonne Perea, a soulful folk, blues, and rock singer-songwriter. The Triple J is housed in a historic storefront building, where we sat beneath a wagon-wheel chandelier in a rustic bar with a view of the gleaming brew tanks. Steak and the brewpub’s signature Raider Red amber ale, named for the Texas Tech mascot, went great with Perea’s solid acoustic set. After dinner, we crossed the street to the Blue Light Live to check out energetic Southern rock from up-and-coming Dalton Domino and the Front Porch Family Band. The brick-walled venue features Americana artists six nights a week, including one evening reserved for locals performing only original music, no covers. Domino and his band rocked the low stage beneath the flickering neon fire hard enough that we had to get up and dance, with plenty of company from the crowd on hand. Lubbock’s Mackenzie Park is famous for Prairie Dog Town, where little mammals bop and bark in and out of hundreds of burrows that pock a grass-and-dirt field. Easy to spot and fun to watch, black-tailed prairie dogs and the occasional burrowing owl frolic everywhere here. We were happy that there’s a viewing pavilion. Not only does it make it easier to see the town’s expanse, but it also separated us from the furry critters that gather round when tourists throw them snacks. We hadn’t thought much about windmills and the like until approaching Lubbock and seeing mile after mile of massive, energy-generating wind turbines with blades longer than a basketball court. At the indoor-outdoor American Wind Power Center and Museum, we learned that a single wind turbine can power 500 homes, plus other factoids on the subject. We also took a look at historic water-pumping and grain-grinding windmills, including the old-fashioned Flowerdew Hundred Postmill, perched like a cute treehouse on stilts. Eddie’s Barbeque was on our radar for lunch, because that’s the only time of day the popular eatery is open. Eddie’s rough exterior is festooned with hubcaps and license plates, with a long barbecue pit to the side, behind a wooden fence. Inside the squeaky-clean dining room, decorated with a giant U.S. flag, road signs, and more license plates, we were pretty thrilled when Eddie himself called out a welcome from the serving line. We dug into his renowned twist on Frito pie, piled with freshly smoked brisket, sausage, pinto beans, jalapeños, cheese, and sour cream, and ate until we were in a food coma. Llano Estacado Winery, Texas’ largest and most award-winning premium winemaker, is one of several that call Lubbock home, so we figured it would be a good place to see what’s happening in the world of High Plains wines. The behind-the-scenes tour of the winemaking operation brought us by an impressive number of wooden aging casks and a warehouse with pallet after pallet of boxed-up wine bottles, ready to ship. We made a beeline to the tasting room, where the vintner’s best-selling Sweet Red and complex white Viviano did not disappoint. Our only regret was that we didn’t have time to travel the entire High Plains Wine and Vine Trail with its multitude of wineries and vineyards that create the largest grape-producing area of Texas. Lubbock&apos;s one-of-a-kind Choc&apos;late Mousse: Pie Bar dishes up delectable Piebites, each made from your choice of pie crust, filling and toppings. Anne Heinen has lived in seven states, but Texas has been her beloved home the longest. 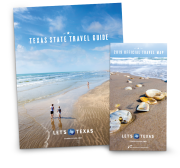 Her travels have brought her to every corner of the Lone Star State, from Amarillo to South Padre Island and many places in between.